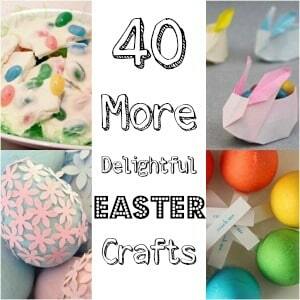 Time for some Easter Craft Inspiration. 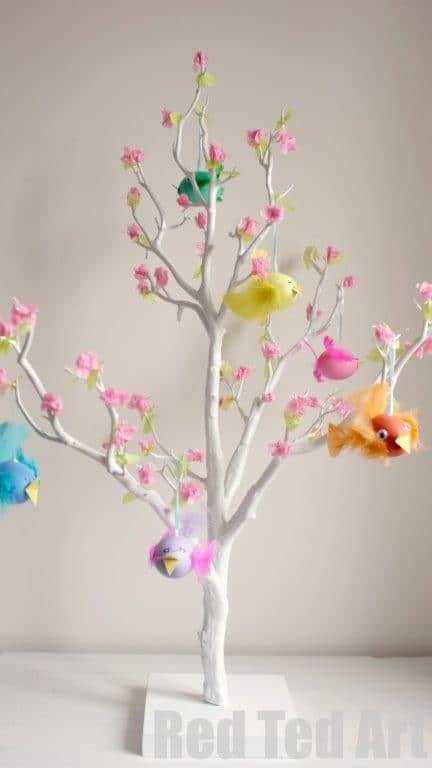 I mentioned a few weeks back, that we went to a Hobbycraft craft morning… they had these wonderful Easter Trees for decorating and I have been eyeing them up ever since. I WAS going to make one from branches we picked up on our walk (they have been sitting around our house for about 3 weeks now), when they said they would send me one of theirs! Squeal. Anyway, the kids and I got to work. 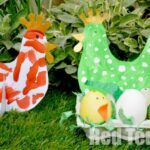 We love this as a Easter Preschool Craft too – a great together project for kids of all ages! I had spotted these adorable Egg Birdies via Pinterest and thought that I could “improve” on the design, by blowing our eggs not from top to bottom but from side to side. Perfect. As the eggs in the UK are usually brown, I had to paint our eggs in pretty Easter colours with acrylics. 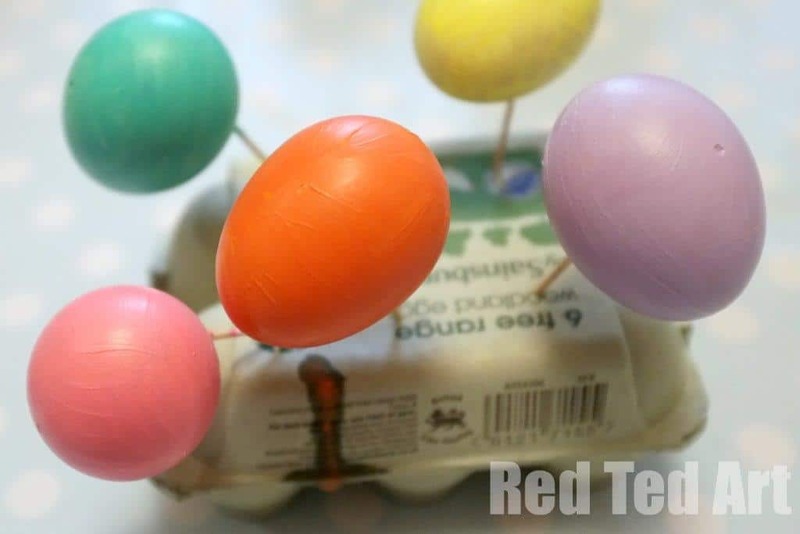 I did this by balancing the eggs on toothpicks stuck into an egg carton. I also “painted over” the top hole, to make it extra neat looking. 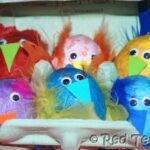 The kids and I then added feathers, beaks (cut from card) and eyes to our egg birds. Can you tell who made which? A hint – Red Ted chose the googly eyes and Pip and I the pen. 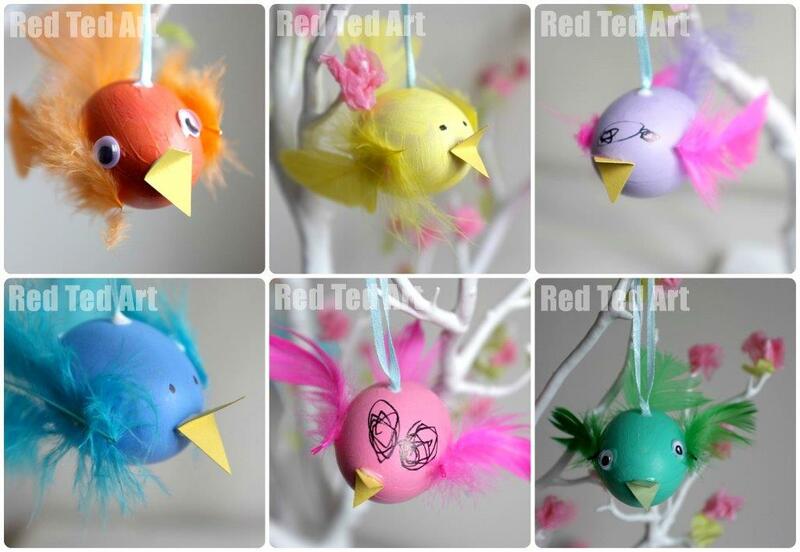 We hung them on our tree… and then started decorating the tree to make it all Eastery and Spring like. I cut out tissue paper leaves that we literally just “skewered on”. I want to be able to remove them, so we can decorate again next year. For the petals, I cut out pink tissue paper squares. The kids scrunched them up and again we just “pierced” them onto the tree. Red Ted REALLY got into this. And started talking about The Four Seasons. Mummy, when it is Winter, can we make the leaves fall down. And at Easter we will have to put a little basket with eggs in it at the bottom. And we can add brown leaves before they all fall down. Clearly our annual The Four Seasons projects are paying off! And done!! I think it is SOOO pretty and we are so happy with it! 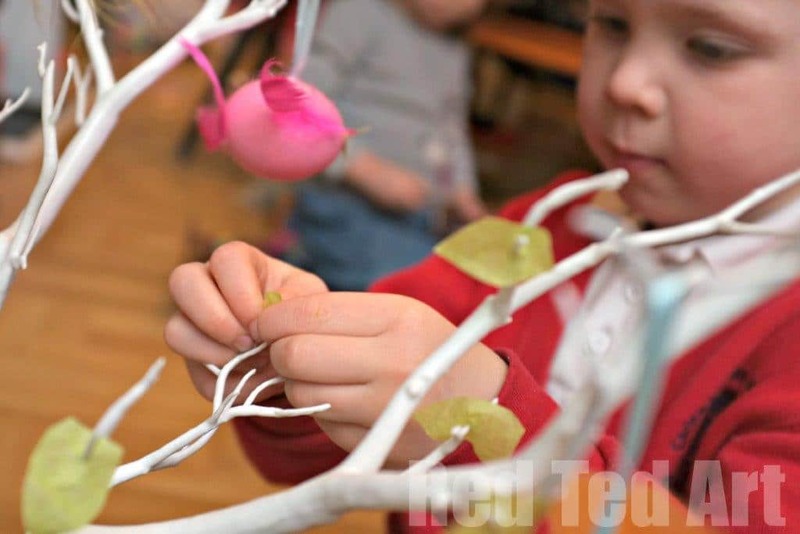 Have you decorated an Easter Tree? UPDATE: I have had some questions re the tree… it is from here: Easter Tree. 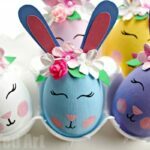 Need more Egg Decorating ideas? Fabulous! They look so pretty! Thank you! I love looking at it! Looks so chirpy and Spring like! Looks absolutely wonderful! Just need the actual spring here! You can also paint a tree branch white, if you haven’t got a shop-bought one. I did this for my mobile with birds on it. aaaw this is a cute smart idea. brilliant!!! Love it. Yes, definitely a good idea to paint brances white Carolina and we soo need Spring to come! Glad you like the tree, Jet! 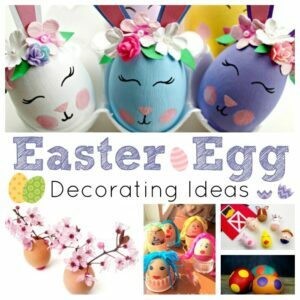 oh lovely Maggy, I might have to do this for the school egg decorating competition…now where do I find a tree? Great idea, especially love the birds. If you dont want the hassle of blowing eggs you could use polystyrene eggs. You can get a pack of 10 from the pound shop, Home bargains or The Works. acrylic paint and/or tissue paper covers them well. I know it isn’t the cost of the polystyrene eggs.. but the fact that they are less environmentally friendly. I love that egg shells are frugal, but I also love that they are not harmful to the environment (ok so the acrylics for painting are not great, but a whole polystyrene egg is “bad” in my eyes”). But that is just how feel about them!! What a really good idea. I like how it can change with the seasons. I love googley eyes too, so that is my favourite. These are so pretty and spring like, lovely !!! They look so pretty and lovely. 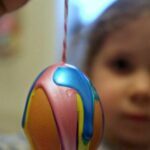 A fun activity together with the kids. 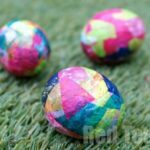 I am sure that the kids will love this activity. Thank you for sharing. The tree is adorable and I would LOVE to know how you attached the branch to it’s base! Aaah, so sorry! But this is one of those “ready made trees” – my suggestion for making your own would be to spray paint some branches, and put them in a vase with rocks to weigh them down and hold them in place? Great work! Love everything Easter. 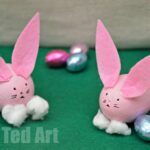 Pretty Easter decorations. 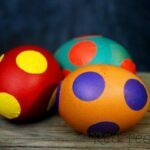 I love those eggs! This is such a charming idea, Maggy! Pinning! Wish I could share my picture here! The so much for sharing your awesome tissue paper idea. We just did a little tree very similar to yours. It’s precious. Bird eggs are in our near future. Oooh how lovely! 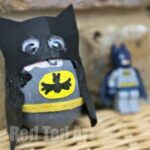 🙂 do share it on facebook (http://www.facebook.com/redtedart or tag me on Instagram @redtedart)??? ?